Ranville cemetery in Normandy is the final resting place of predominantly British soldiers killed in the Battle of Normandy. 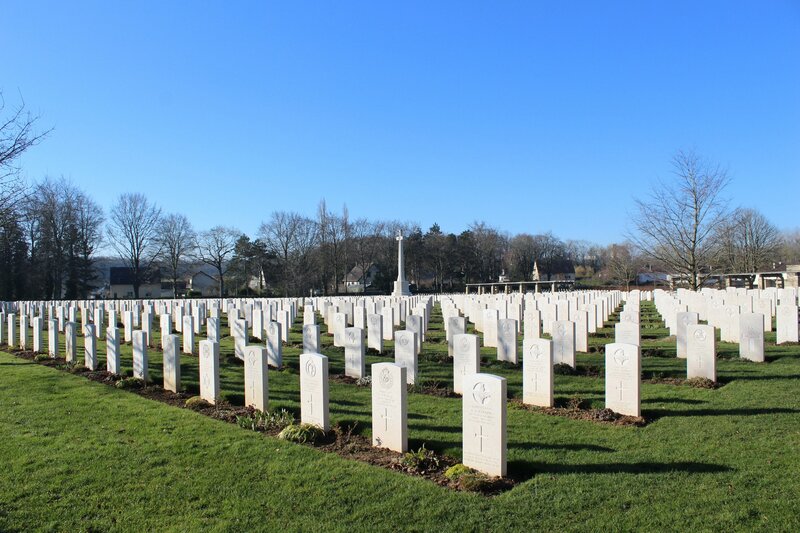 Many of the fallen were from the British 6th Airborne Division who attacked Pegasus bridge on D-Day at nearby Benouville. 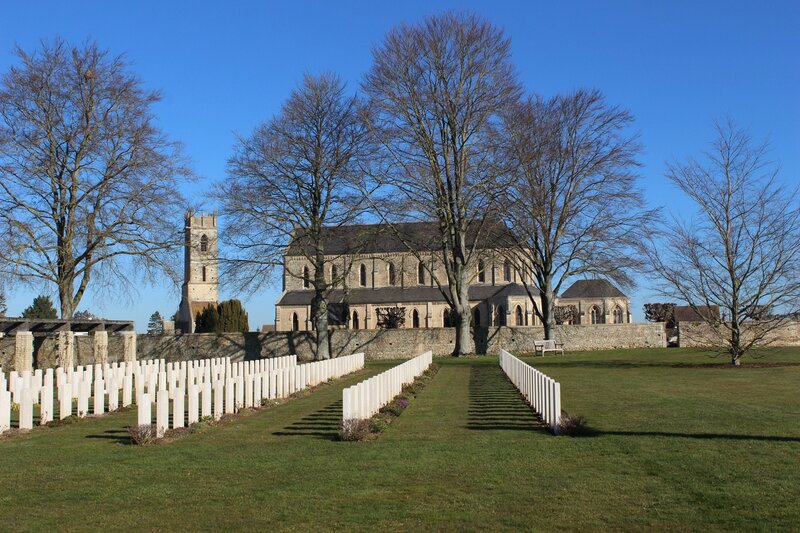 Ranville is situated 10km north east of Caen and was the first village to be liberated on D-Day. 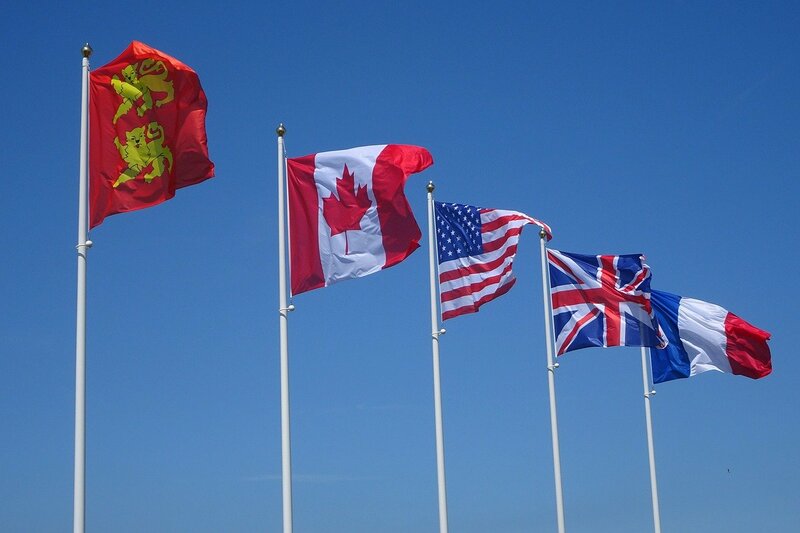 This part of the conflict was covered by the Sword Beach sector. 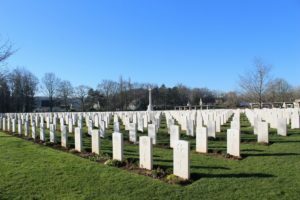 There are 2563 graves in Ranville cemetery. 2152 are British, 76 Candian, 3 New Zealand, 1 Australian, 5 French, 1 Polish, 1 Belgian, 322 German and 2 unidentified nationalities. 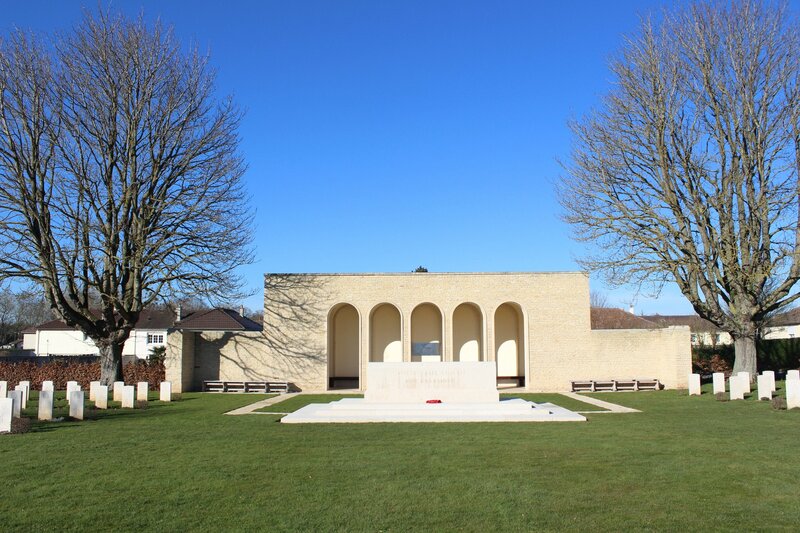 As with other war cemeteries, it is very well maintained. 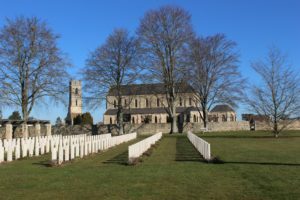 In the adjacent churchyard there are 47 British graves and one unknown British soldier. 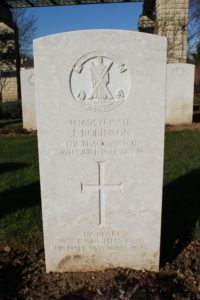 You can find these graves as you go through the main gate to the church. If you then turn right, they’re set against the stone wall surrounding the churchyard. 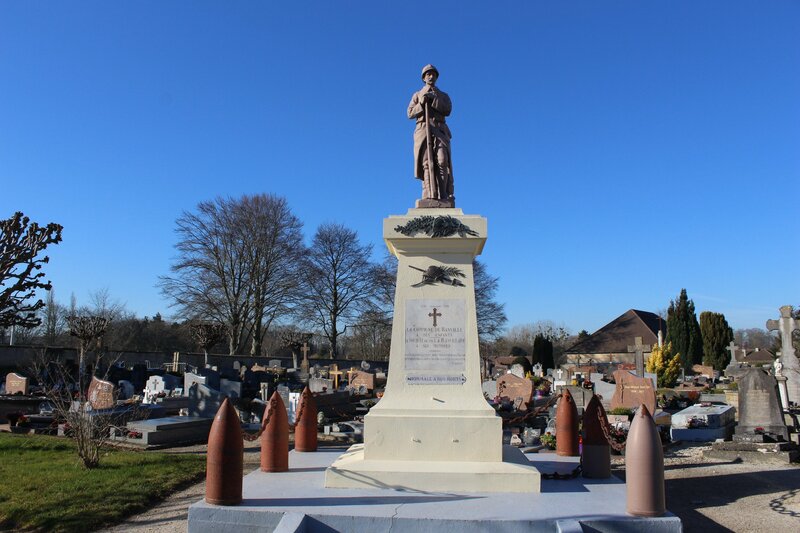 Ranville cemetery is on rue du Comte Louis de Rohan Chabot. However, there isn’t much parking at the cemetery. 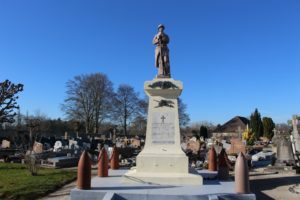 There are a few spaces in front of the churchyard and a few at the post office (La Poste) just opposite. Otherwise, there is a hall near to the Mairie (the town hall) and you may find parking spaces there. 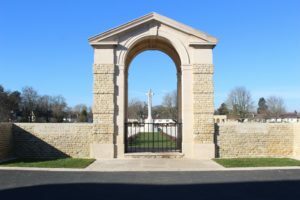 As you go through the gate and stone archway, you’ll see the cemetery register which is kept in an open safe. 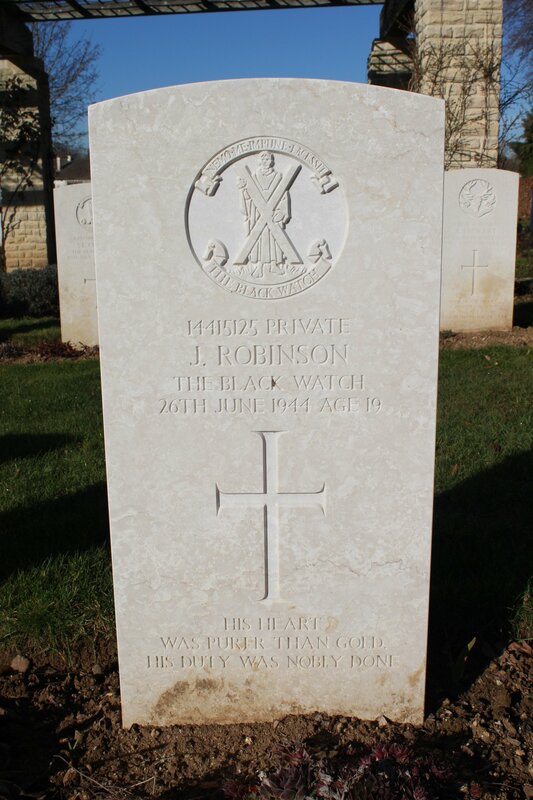 There’s a plan of the plots and a list of all the soldiers and reference numbers for the graves. 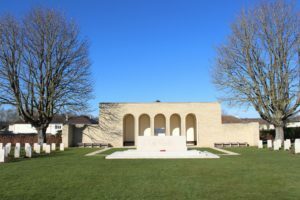 I visited the war cemetery on a beautifully sunny February day. For the majority of the time I was the only person there apart from the gardeners and maintenance staff. 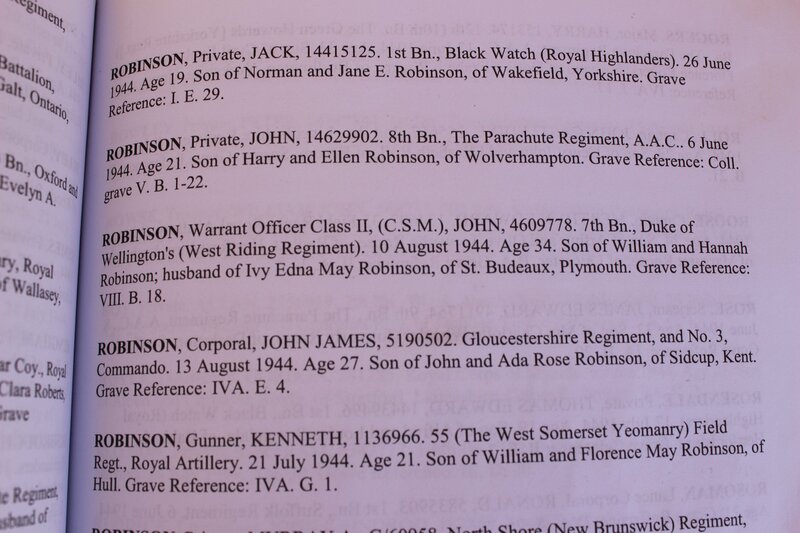 Below is the grave and register entry for Jack Robinson who was just 19 when he was killed in action on 26th June 1944. 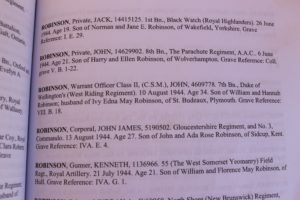 If you’d like to find a grave, you can do so on this website.